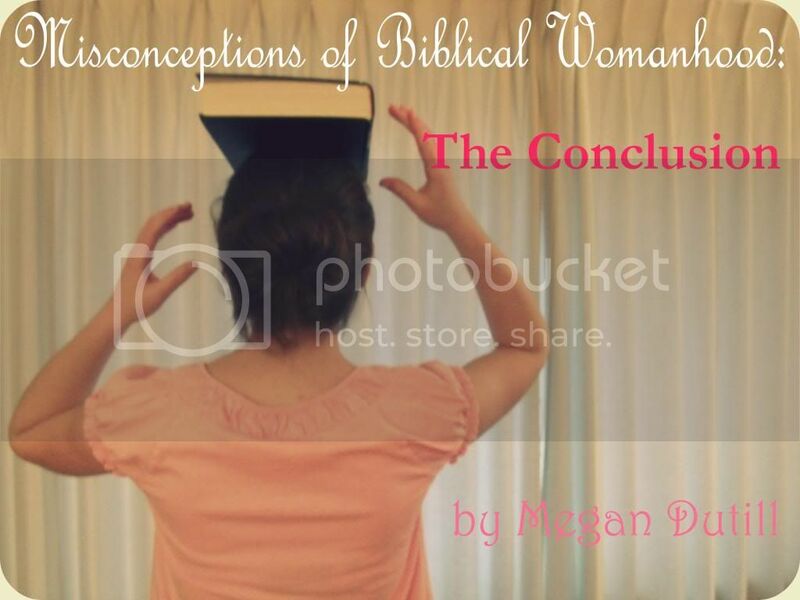 What do you think of when you hear the phrase, "Biblical Womanhood"? Maybe it makes you smile. Maybe it makes you cringe. Maybe you picture one of the misconceptions we've written about, or another one. But does it sound powerful to you? Glorious, important, strong and beautiful? Because that, lovelies, is what it is. That is God's vision for us as His daughters. This kind of femininity is under strong attack these days. There are plenty of misconceptions and stereotypes, and most people turn up their noses at the idea. But it's under attack because Satan knows just how powerful it can be when we delight in the way we were created. When He made us women, the capstone of His creation, it wasn't a demeaning position. To both Adam and Eve was given the command to "Be fruitful and multiply, and fill the earth, and subdue it; and rule over the fish of the sea and over the birds of the sky, and over every living thing that moves on the earth." (Gen 1:28). His first command. What does it mean for us as women? To us he gave the power to be life-givers and nurturers. To us he gave the command to rule. Girls, this means that we have real authority, capability, and responsibility from God to make the most of everything He has given us. Our talents, opportunities, possessions, relationships, education, thoughts, words, attitudes and more. The work we do matters. He has entrusted so many things to us, and we are to be wise stewards. He's given us power. The woman who embraces God and all that He has made her to be is the one who lives Biblically. She is not someone with no opinion who stays in the corner: she is a warrior princess essential to this life-and-death battle of eternal importance that is going on in our world. Girls, we are made in the image of God. Believers or unbelievers, we all are all little mirrors with some mini-versions of God's characteristics. A Biblical woman is one who walks closely with Him and allows Him to shape her. By walking with Christ, she is continuously growing closer to Him and more like Him - and reflecting His glory to all who see her. She follows where he leads her, and contributes her skill and strength and passion to whatever opportunities and life season are given to her. Really, it's not a list of rules to follow and check off (I need to have my own business like the woman in Proverbs 31 - check!). Because the truth is that if you are a daughter of God, you are this woman. He is working in you, and has promised never to stop. And the more you pursue this relationship, the closer you grow to him, the more you will grow into the mindset and role that he wants to play in this great story he's invited us into. And the more you become like him, the more you are free and the more you you become.